22 Jan My shutdowns are the greatest shutdowns. The market trades based on information. The largest source of publicly available information is currently on a record-breaking holiday thanks to the US government shutdown. What impact does this have? January is typically a quiet month for overseas markets. This month has been no exception to the rule. 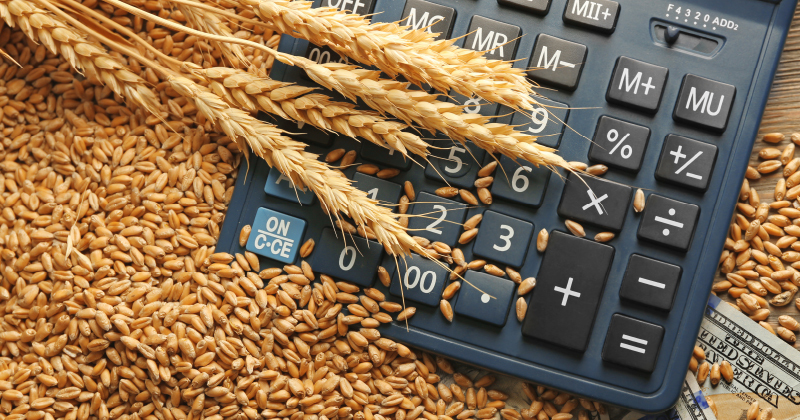 Chicago wheat futures are unchanged week on week in both US$ and A$ terms (Figure 1). The US will receive snow cover during the weekend, which will benefit the development of the crop. It provides protection against forecast cold snaps. According to Trump, he is the best at a number of tasks. His ability is generally self-assessed; however, he is currently the record holder for presiding over the longest government shutdown in US history at 27 days. The president is currently unable to get his budget approved due to his insistence on US$8bn to build a wall between Mexico and the US. The shutdown has resulted in 100’s of thousands of government employees being furloughed. The biggest impact to agriculture at present is that the USDA is no longer releasing any new data including export, production and the WASDE report. Although there are many private forecasts available, the USDA data is usually a starting point for the trade. The longer a shutdown continues the bigger the impact on the US economy. The US government estimates that quarterly growth will reduce by 0.13% per week. This is due to the impact of government workers having less income to spend/invest. The slow down in growth will likely slow down the pace of any US interest rate rises, which are now not expected until Q3 at the earliest. At a local level, the Australian crop is largely complete. The only area continuing to harvest is Tasmania, which has experienced a fantastic growing season with conditions almost perfect. This has necessitated the construction of additional storage (see here) by Tasmania’s main storage and handling company. This season has seen very little harvest pressure, as demand on the east coast has stripped supply. The basis levels have largely remained flat since the start of harvest (Figure 3), with the exception of WA. These basis levels remain at post-deregulation record levels and are liable to remain strong through until at least the middle of the year. As the government shutdown continues, there will be less and less current data available for the trade. However, most of the market uses USDA data alongside privately held data. At present, there seems to be no end in sight to the shutdown, with Trump holding his ground. The real driver in coming weeks will be whether Russia can maintain its export pace and weather conditions in the northern hemisphere.